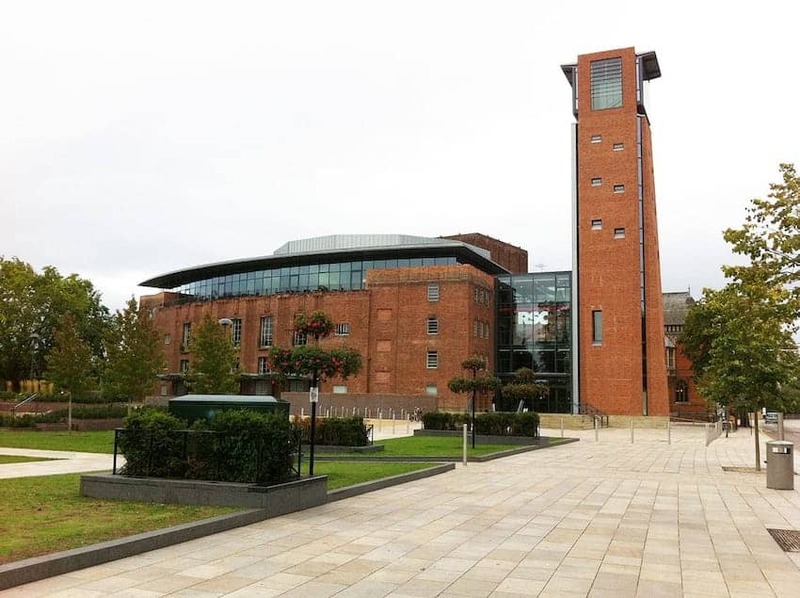 The Royal Shakespeare Theatre in Stratford upon Avon is owned by the Royal Shakespeare Company and dedicated to the work of playwright and poet William Shakespeare. It originally opened in 1932 and was the first important work of an English woman architect. The building, designed by Elisabeth Scott, had a proscenium-arch stage and several notable Art Deco features. It is a 'one-room' theatre which allows the actors and the audience to share the same space, as they did when Shakespeare's plays were first produced. The theatre reopened after major redevelopment in 2010.